Did you know you can have multiple domains that use the same domain name? For example you could have adamsbusiness.com.au, adamsbusiness.sydney and adamsbusiness.net all point to the same website. By the same token, you could have adamsbusiness.com.au and someone else could have adamsbusiness.net. When it comes to domain name, it's the extension that distinguishes your domain name from other businesses using the same name. 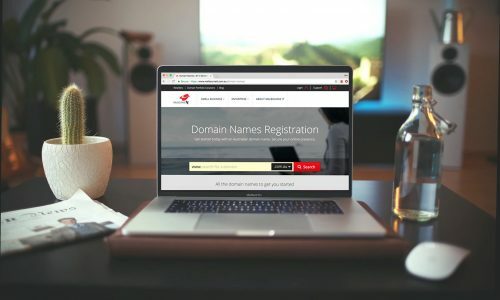 Before you know which domain extensions your business should register, you should understand the difference between the varying types and their purpose. A domain extension is what comes after your domain name. For example, in melbourneit.com.au, the .com.au is the domain extension. This provides us with important information about geographical location, the type of business run by the owner of the domain and whether or not it’s a government sponsored site. A gTLD is a Generic Top-Level Domain. This is the standard variation of a Top-Level Domain. It does not signify any geographical or industry information and is not limited by country or destination. The most populat gTLDs are .com, .net and .org. A ccTLD is a Country Code Top-Level Domain. This generally involves altering or replacing a gTLD with an extension relating to the country of origin. For example, melbourneit.com.au is a ccTLD. Country codes are all two letters long and are reserved for a country, a sovereign state or a dependent territory. You may come across these other ccTLDs in Australia: .co.uk, .ca and .com.eu. An sTLD is a Sponsored Top-Level Domain. These are specialised domain extensions that represent specific communities. These communities can be ethnic, professional, technical, geographical or any other body that upholds regulations and manages users’ eligibility to register. For example, you may have seen a domain with a .edu extension. These are managed by the department of education and are set aside only for recognised and accredited post-secondary educational institutions, like universities. The .gov is another good example of an sTLD but this sTLD is managed by government entities. Do I need more than one domain extension? We often suggest registering multiple domain extensions when setting up a business. This is not just a ploy to get you to spend more money – it’s about protecting your brand. If you were to go into business selling real estate and you purchased just one domain, there's nothing to stop a competitor from registering the same name with a different extension. In doing it could confuse customers looking for your business. There's also a chance you could be directing your traffic to their site. Your competitor would be feeding off the reputation you worked hard to build within the industry. There’d be nothing you could do to stop them if you haven’t registered that specific domain extension. While this is an extreme scenario and not your everyday occurrence, it could happen. Something similar may happen on a far more innocent scale. Say you bake cakes for a living and you name your business Jake’s Cakes. If someone else registers the same domain name with a similar extension, you will find that you’re competing for traffic even more than you ordinarily would with competitors of different names. Finally, if you’re registered as a marriage celebrant and call your business Just Married Celebrants (jmc.com), it may be damaging to have another business register the same name while offering a completely different service, particularly if that business is in funerals. Purchasing the most popular extensions for your domain name gives you the peace of mind that your brand is safe from harm, be it malicious or unintentional. It allows you to control the uncontrollable as no one else can get the domain if you’ve already registered it. We suggest starting with the gTLDs most relevant to your business, like .com, .net and .org, paired with your local ccTLD (ie. .com.au). That should cover you from any domestic online branding issues. Take a look to see if your preferred domain name is already registered to someone else? If not, don't hesitate to snap it up for safe keeping!